Since 2011 Oahu-based award winning full service residential green designer. Our exceptional craftsmanship and attention to detail is what we strive for. Josh Design Build provides attention to detail from design to installation of your new cabinets. With a wide selection of cabinet choices, top brand appliances, and silestone quartz installation, every aspect of your new design or remodel. Home remodeling contractor. The focus of our company is on home renovations. We also have a small division for simple maintenance and repairs, minor plumbing issues, and granite installations. Please contact us for a quote. 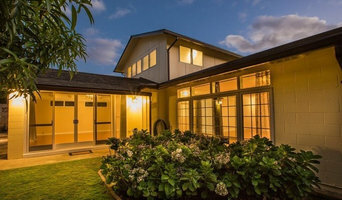 About Us Hawaii Custom Install is a family-owned and operated business and have been been helping our clients with quality renovations since 2009. We offer specialty services from start to finish on all of our home remodeling projects. We take great pride in every project that we perform for our clients by researching and using the best materials available that are also reasonably priced. Oahu's Family-Owned Design & Build Contractors for Over 15 Years! *Authorized Dealer for DeWils Custom Cabinetry* Dangler Design offers you the valuable options and combinations of kitchen and bath design, contractor/project manager and cabinet distributor. With over 30 years of experience our firm is unique in it’s ability to solve design challenges, find creative solutions just for you and handle all details involved. Lyle Kelso started AMK Construction LLC in 2011. Inspired by his own father’s example, he knew from a young age that his life’s dream was to start his own construction company. Lyle learned from his father all about what it takes to run a business and the value of providing a necessary service to the community. He holds himself and his team to the highest standard, knowing that the reward is in delivering excellent work and earning the respect and appreciation of our customers. With every project we do, there is an indescribable satisfaction in completing the job and knowing we’ve met our customer’s needs. We design, build and install custom cabinets for residential and commercial customers. Remodeling specialists. Kitchen and bathroom remodels. Whole house remodeling. I previously worked at a remodeling GC. Now I work for you! Since 2012 we have completed dozens of quality remodeling projects on time and budget. Our numerous happy customers are a testament to this. Justin Homes is a general contractor (# BC-34003), licensed to handle all phases of your kitchen and bathroom remodeling project. We renovate kitchens and bathrooms. With over a decade of experience, we apply our knowledge and exceptional craftsmanship on these two areas of your home. Every phase of the project is coordinated with our clients to ensure their vision becomes a reality. We are committed to helping our clients build a better home. Contact us with any questions or to discuss your upcoming remodeling project. Hello, my name is Michael Rogozinski and I am a 30+ year finish carpenter and cabinet maker that has an outstanding reputation of project on-time completion and customer satisfaction. I am originally from Philadelphia, Pennsylvania where and I have successfully built a home remodeling and cabinet making business from the ground up based on fulfilling my customers' wishes and maintaining a zero call back rate on their projects. I have been visiting Oahu, Hawaii for my winter vacations for the past seven years and have decided to make my home here permanently. This website is a copy of my website from back East and it will explain to you some of the home remodeling projects that I have been completing for the past 30 plus years. The pictures within this website are pictures of projects that were performed in the Philadelphia and surrounding counties. I am a very respectful and courteous person who treats his customers and their homes with the highest regard and respect. What does a Honolulu kitchen and bath remodeling expert do? Licensed Hawaii kitchen and bath remodelers are contractors who specialize in altering the structure of an existing space, rather than building one from the ground up. Because he or she must deal with a previous builder’s work, the job can get more complicated than new construction. You might wonder why they often specialize in both kitchens and bathrooms, but if you think about those two spaces, they actually have a lot in common. Kitchens and bathrooms include an abundance of fixtures that require careful planning and installation, including sinks, faucets, tubs and toilets that all need water hookups and drainage. They also use similar materials, such as tile and stone for countertops and flooring, due to the nature of their use. 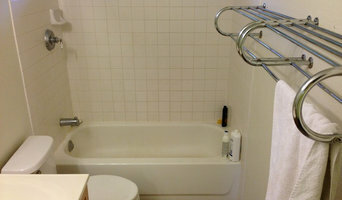 So it makes sense that Honolulu kitchen remodelers and bathroom remodelers be one in the same. A bathroom or kitchen remodeler translates architectural plans from page to reality; some are also trained to provide design services so that you don’t have to hire a separate pro. 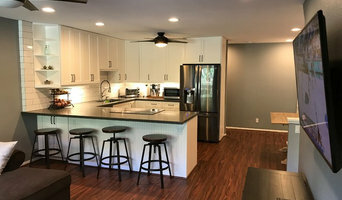 Like a general contractor, a kitchen and bathroom remodeler in Honolulu, HI is responsible for hiring and supervising subcontractors and providing materials when necessary. They also should have a thorough knowledge of Hawaii building codes and construction-related legal issues, as well as current design and product trends. Here are some related professionals and vendors to complement the work of kitchen & bath remodelers: Woodworkers & Carpenters, Kitchen & Bath Designers, Interior Designers & Decorators, Architects & Building Designers, General Contractors. 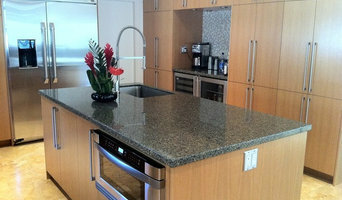 Find a Honolulu kitchen and bathroom renovator on Houzz. Narrow your search in the Professionals section of the website to kitchen and bathroom remodelers in Honolulu, HI. You may also look through photos of Honolulu, HI spaces to find kitchens or bathrooms you like, then contact the bathroom or kitchen remodeler who worked on it.